Fairbanks, Alaska (AK) – The Fairbanks visitor industry is organizing the 17th Visitor Industry Walk for Charity to be held on Friday, May 10, 2019. Families, friends and community groups are invited to sign up to walk and eat to support local non-profits. Registered walkers will meet on May 10th between 5:30 and 6 p.m. in the Immaculate Conception Church parking lot and follow a course that will take them through downtown Fairbanks. The “Walk for Charity,” also nicknamed the “4k Graze,” will finish at the Morris Thompson Cultural and Visitors Center (MTCVC) where participants will enjoy more food, desserts, music and prizes. This year’s event is sponsored by Holland America Line & Princess Cruises and coordinated by Explore Fairbanks and the Fairbanks Chapter of the Alaska Travel Industry Association. Team and individual walkers can register online at www.explorefairbanks.com/charitywalk through Sunday, May 5. 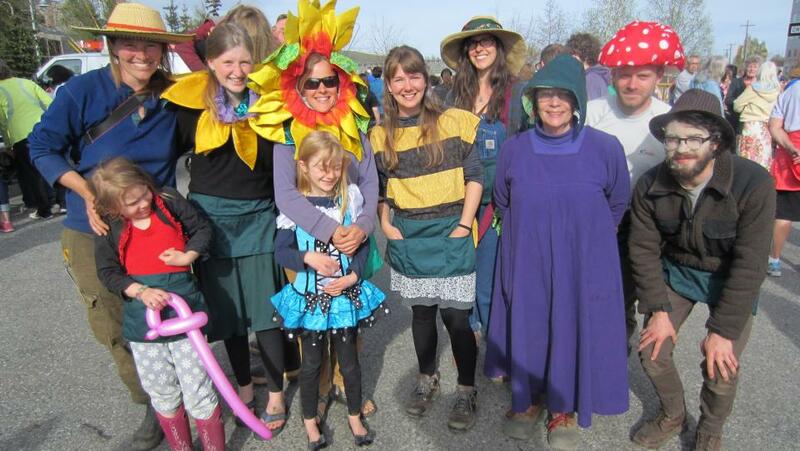 On Monday, May 6, between the hours of 4 and 7 p.m., registrants must pick up their waist aprons at the MTCVC, 101 Dunkel Street in downtown Fairbanks. Late registrations will be accepted from May 7 through the day of the walk. Participants are encouraged to raise as much money as possible, but a minimum registration fee of $25 for adults and $15 for children is required. Late registration is $30 for adults and $20 for children. All proceeds will be distributed to registered 501 (c)(3) charities. Since 2001, the “Walk for Charity” has raised more than $367,000 for as many as 60 local non-profits. For more information, the general public should contact Charity Gadapee at (907) 459-3758 or cgadapee@explorefairbanks.com.